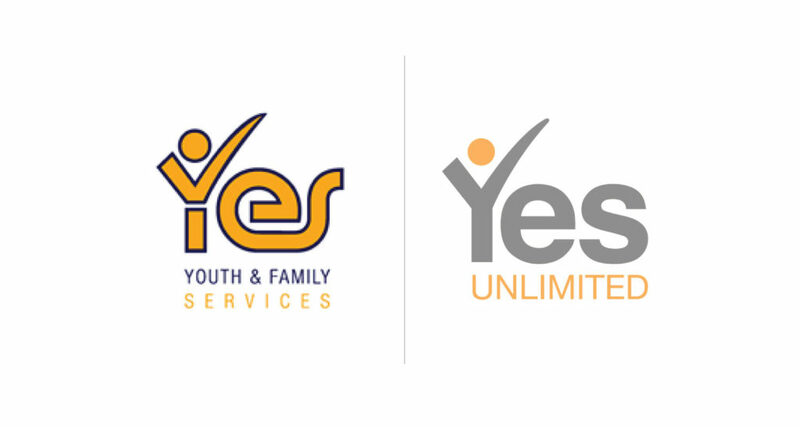 Welcome to the new look Yes Unlimited formerly known as YES Youth and Family Services. In recent years YES has grown from a youth focused organisation to one which now works across the community. In light of this changing context it was apparent that we had outgrown our name and that ‘Youth and Family Services’ no longer represented the work we do now and want to do in the future. We couldn’t quite bring ourselves to lose the ‘YES’ in our name with its strong reputation in the community and our own attachment to the name and what it represents. While we played around with a number of different generic type bi-lines (YES Community Services, YES Community Network, YES Community Connections, YES Support Services, etc), none quite seemed to capture the scope of our work and our vision for the future. In the end, the name ‘Yes Unlimited’ (a slight play on words as our incorporation status is Company Limited by Guarantee) really resonated, because it makes a statement about our organisational values and who we are as an organisation, rather than just describing what we do. Yes Unlimited indicates our willingness to go above and beyond, and to see the potential of the people we work with as ‘unlimited’. Yes Unlimited makes a strong statement about our aspirational/strengths based philosophy and the limitless possibilities for continuing to broaden our future work (i.e. leadership programs, programs focusing on nurturing talent, structural advocacy, community development, research, practice development). The name is underpinned by optimism, representing that we will not limit ourselves to funding, government policy, or narrow expectations of how a ‘service’ should operate and, most of all, not limiting ourselves to a world where homelessness is inevitable. While there will always be mixed feelings and opinions about a change of name we are confident that ‘Yes Unlimited’ will become synonymous with awesome practice, community driven responses and positions us for a future where the possibilities are truly unlimited! Stay tuned for more posts on the journey towards our vision for ‘future generations without homelessness by 2050’.